How does western medicine view acupuncture? In 1997, The National Institutes of Health conducted a review of acupuncture and issued a Consensus Statement that declared "While it is often thought that there is substantial research evidence to support conventional medical practices; this is frequently not the case. This does not mean that these treatments are ineffective. The data in support of acupuncture are as strong as those for many accepted Western medical therapies. One of the advantages of acupuncture is that the incidence of adverse effects is substantially lower than that of many drugs or other accepted medical procedures used for the same conditions." What kind of training should an acupuncturist have? Acupuncturists are licensed by the state in which they practice and in Massachusetts we are licensed by the Massachusetts Board of Medicine. In order to be licensed, we complete a rigorous Master’s degree program at an accredited institution. I trained at the New England School of Acupuncture (NESA), the first acupuncture school in the United States and still one of the most respected institutions in the field. The ability to study the Japanese style of acupuncture, which is offered in few other places, draws students to NESA from all over the world. All students of acupuncture, in addition to the Master’s degree, must complete national board exams administered through the National Certification Commission for Acupuncture and Oriental Medicine (NCCAOM). With the master’s and board exams complete, candidates then apply for a license in the state in which they practice. How are you coming to a diagnosis? Acupuncture has been used to treat a wide variety of illnesses for more than 2,000 years. Acupuncture is just one component of Traditional Chinese Medicine (TCM). A diagnosis is made based upon a thorough patient interview to understand which parts of the body’s energetic systems are out of balance. The diagnosis includes the observation of the pulse and the tongue and in the Japanese style, palpation of the abdomen. These areas reflect the whole body and provide diagnostic clues that help an acupuncturist build a diagnosis and treatment strategy. Once a diagnosis is made, acupuncture points are selected. The focus of the treatment may be to balance the yin and yang of the body: excess or deficient patterns, hot or cold conditions, or exterior and interior patterns. For example, a treatment may need to build a person's energy if it is deficient. If the condition arises from an excess of energy we will disperse energy in the treatment. Inserting acupuncture needles at the appropriate points promotes the flow of energy and restores balance throughout the body. When practiced by a trained, licensed acupuncturist, acupuncture is extremely safe. We are required to use pre-sterilized, pre-packaged, one-time-use needles which are safely disposed as medical waste after a single use. The Food and Drug Administration regulates acupuncture needles as medical devices. Licensed Acupuncturists practice Universal Precautions like all other medical providers and adhere to OSHA Safety Standards. Some precautions are advised, however, and this is part of the reason for such a rigorous interview at the first appointment. If you have a pacemaker, I would not use an electrical stimulation machine due to the potential for electromagnetic interference. If you are pregnant or think you might be pregnant, then certain acupuncture points are contraindicated and avoided. Cautions are also recommended when working around major organs, blood vessels and nerves. That depends on who you ask. In the Japanese style, where the needles are smaller, inserted more shallowly and manipulated more gently, a patient may feel a slight sensation at the acupuncture point or may feel nothing at all. 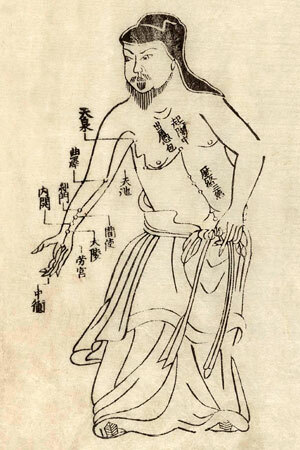 In the Chinese style, if the acupuncturist has obtained the correct stimulation with the needle, you might feel a mild or momentary sensation that is sometimes categorized as heaviness, achiness or a tingling sensation either around the needle or traveling up or down the affected energetic channel. This sensation is known as “obtaining qi” and is beneficial. Some Western cultures may categorize these sensations as types of pain, but I think it is because the sensations are unfamiliar. If you experience any discomfort, it is usually mild and very temporary. In fact, patients grow to like the sensation and find the treatment simultaneously deeply relaxing and very energizing. For both styles, the needles are solid, flexible and about as thick as a human hair. Contrast this with hypodermic needles which are hollow, rigid and of much larger diameter. Interestingly enough, needle diameter has very little to do with the sensation experienced as needling technique and needle tip shape are much greater factors to patient comfort. This varies depending on the severity of the condition being treated. Part of the beauty of acupuncture is that treatments are customized to one person at one moment in time. Each person is an individual and the number of treatments required depends on the depth of the condition, its longevity and the overall health of the patient. The benefits of acupuncture are cumulative. In general, you should feel some results within one to two treatments, with a larger shift for the better happening around treatment four – six. A typical acupuncture series lasts for at least twelve treatments. Appointments are then scheduled further and further apart after the optimal response has been achieved. Our therapeutic goal is to balance your systems to maintain optimum health rather than “fixing” problems as they arise (though, of course, we do that too). In acupuncture, we seek to resolve the root cause of a problem so that your body can use its natural healing abilities to keep your systems in balance. to address your specific main complaint. In terms of diagnostics, in the Japanese style we don’t look at the tongue like we do in the Chinese style. We still feel the pulse, but we feel the pulse on both wrists at the same time. And instead of the tongue, we palpate the abdomen as it provides diagnostic information that reflects the whole body. By talking, looking, feeling and hearing I am able to put together the diagnostic clues that provide a complete picture of how your systems are functioning overall. The first appointment takes 90 minutes. Subsequent appoints last for one hour. I begin with a comprehensive interview about your main complaint and perform a medical intake about all of your health issues. If I use the Chinese-style, I will feel your pulse and check your tongue, which is a reflection of the whole body. In the Japanese style, I will feel your pulse and palpate your abdomen which, like the tongue in the Chinese style, is seen as a reflection of the whole body. After examination, I will devise a treatment that is customized to your particular case, perform acupuncture and, where needed, other adjunctive techniques that will help to bring your systems back into balance and address your main complaint. Comfortable, loose clothing is best. At the very least, I will need access to acupuncture points that are distal to the elbows and knees and to your whole back. I can drape your body to cover any areas that are not required for treatment to maintain patient comfort. Treatment rooms are typically on the warmer side, but a sheet or blanket is provided should you feel chilled. It also helps to be in a calm state. Try to arrive 5 or 10 minutes before your appointment to give yourself a chance to relax. What reaction may happen after treatment? Patients normally feel relaxed and calm. You may feel tired or drowsy for a few hours if the experience is particularly strong. Some people sometimes have a very short-term flare-up of symptoms as part of the healing process. Each person is different and any of these things can occur. If you are concerned at all about how you are feeling, please call, text or e-mail me. It is often helpful to sit quietly and relax following a treatment. Boston Common and the Public Garden are just outside the office and a wander in the park may be just what you need. Should I tell my doctor I am having acupuncture? Yes! I believe that the best use of acupuncture is in a complementary fashion with western medicine. It’s the best of both worlds. Please let your doctor know that you are having treatment at Boston Harbor Acupuncture. I am happy to follow-up with your physician to discuss your progress and prognosis. My doctor does not believe in acupuncture. Do I have to believe in it to have results? No! In fact, acupuncture works very well for horses, dogs and cats, most of whom probably don’t “believe” in acupuncture either. It is always beneficial to have confidence in your practitioner but faith in a particular technique is not necessary to obtain results. Your body knows how to respond and integrate the treatment into the whole you. No. You may find your medication working more effectively as acupuncture restores your internal balance and taps into your bodies natural healing abilities. This is another reason to tell your physician that you are receiving treatment. Yes. If you have a desire to change your medication, you must discuss your options with you physician or the practitioner who prescribed the medication. Many patients seek out acupuncture because of dissatisfaction with a western treatment – whether it does not seem to be working or there are unacceptable side effects. However never stop taking any medication without the supervision of the person who prescribed the medication in the first place. Can acupuncture be combined with other therapies? Yes, acupuncture can be performed alongside other treatments, and at the same time as western medical care. 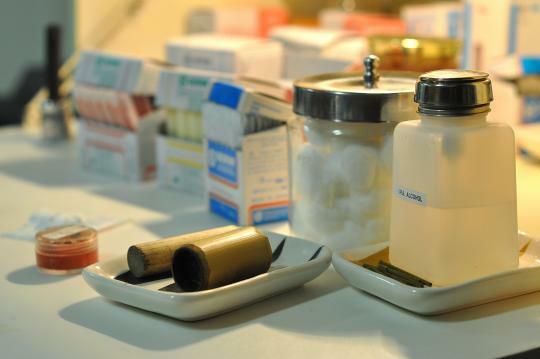 You should inform each practitioner if you are having any other treatments. You will be expected to fully pay for your treatments at the time of service. If your insurance covers acupuncture, I will happily provide you with an invoice that you can submit to your insurance company for reimbursement.